Labels can be used for almost everything. It can be used on packaging, or as bumper stickers or promotional items. 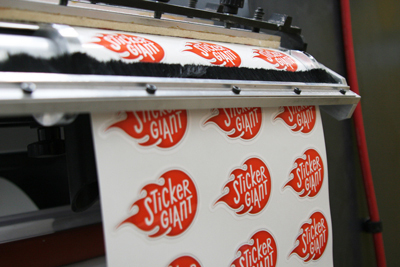 You can print a variety of stickers at any size or shape. Note: It is important for the client to indicate what the label will be used for so that the right material can be used. Example: Wine bottle label or thermal label. When setting up a label you need to supply the artwork to size. If you require any other shape as to a square you need to supply a die cut line around the sticker Artwork must bleed 3mm off of the dieline. Alternatively we can quote on layout and design. The client needs to be clear as to what files he/she has in order for us to quote accurately.